This article is written by April Han. She is a multi-passionate entrepreneur. With a formal education in Business Administration and years of working with healthcare startups under her belt, she is able to provide valuable advice to aspiring locums in terms of creativity, innovation, and discovery of solutions to the challenges amid our society’s growing demand for health services. A life-long learner with a growth mindset, she is currently expanding her knowledge of the healthcare marketplace through online courses and hands-on training from world-class mentors. Are you ready to find work as a locum GP? There are various ways to find clients that pay well. But since you’re not looking for a permanent doctor role, you must learn to sell your skills. There are substantial work opportunities for locum GPs in Singapore because the country’s hospitals are highly regarded worldwide. Even Zimbabwean President Robert Mugabe flies to Singapore for a medical checkup. When you decide to go fully independent, you need to find your own work, set your fees, and do all administrative tasks. Because you’re your own boss, all your earnings go to your pocket. It’s the most popular choice but can also feel daunting. If, however, you’re able to show the practice or the hospital that you’re able to adapt to their working environment, you’ll find that repeat bookings will keep on coming even without you applying for them. Another easy and common route for securing locum appointment is through a recruitment agency. When choosing a locum agency, make sure that they’re trustworthy and are offering enough work in the area in which you want to work. When finding work as a locum GP, you must prioritize your safety and the safety of your patients. While your bank account shouldn’t be your #1 priority, picking an agency with an efficient payroll system is also important. What’s more imperative is that you only work with agencies approved and audited by the authorities. These are the agencies that comply with the documentation requirements. This will keep you and your patients protected from legal repercussions. Being a tech-savvy country, it’s no surprise that online jobs in Singapore’s healthcare sector rose by 15.2% in the 3rd quarter of 2017. Having your name listed on an online platform like CaregiverLocum is a convenient way to get a steady stream of locum work in Singapore. You can sign up for an account for free then create an impressive profile for prospective clients to see. You may also pick among the myriad of job opportunities listed on the website, apply, and report to the hiring clinic when hired. You can collect your payment once you complete the job. Remember to always perform your best so you can get high ratings from clients which will improve your chances of getting hired in the future. Wondered about becoming a locum doctor? Continuing your career as a locum offers flexibility, freedom, and control over your work-life balance. Click below to register as a locum GP or call us at 6258 6683 for any enquiries. Whichever route you choose to get locum jobs, there are some crucial things to remember to make sure you get hired by the right clients. Whether you are doing locum work on a regular basis or just to supplement your earnings, it’s imperative that you keep an untarnished reputation as a medical doctor. Agencies recommend their most reliable and highly regarded GPs to their best clients, that’s why it’s important that you forge a harmonious relationship with them. Locum work is a sales game and your selling point should be your reliability and top-notch skills. They will more likely select you for the most desirable positions if you have a proven high-quality track record. Strong relationships with fellow doctors, clients, and agencies is an essential part of being a successful locum GP. Having a strong contact base can improve your chances of getting hired. Having a list of references who wouldn’t mind verifying your character and experiences can expedite the recruitment process. Just make sure that your references are comfortable being contacted frequently since you are likely to apply for positions in many different practices or clinics. Availability and clear communication can affect your chances of securing a contract. If you want to succeed as a locum GP, it’s important that you stay dedicated to finding work and be enthusiastic in delivering the required services. As earlier mentioned, it’s important to be selective when it comes to agencies and practices you work with. But ultimately, you should respond promptly to those that you think are a great match. Having strong organization skills is an indispensable quality of a successful locum GP. This allows you to quickly adapt to new working environments, routines, finances, and schedules. Whatever your reasons are for choosing to do locum work, this path requires you to be mindful of many things from job hunting to carrying out your tasks. The flexibility of locum work is rewarding and attractive, but it can also be overwhelming. Your income will vary, and you might experience some dry spells along the way. But there are various ways you can find locum jobs. 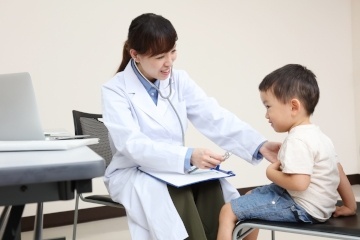 Many hospitals and practices in Singapore are looking for locum GPs due to staff shortages. To succeed in this arena, assure your clients that you can perform the tasks required, show your skillset and present yourself confidently. Freelancing and Illness: What Can You Do? Did you enjoy this article? There's more where that came from. So, come subscribe to our blog to make sure you do not miss the interesting, informative, and some fun articles and videos we share! Friends of CaregiverAsia are accomplished professionals in their fields as well as dedicated caregivers. When not busy making a positive impact on their surroundings, friends of CGA gratify others with their insightful and heartwarming stories.